Then there's Omar Hammami, also known as Abu Mansour Al Amriki, a fighter for the Al Qaeda-linked Al Shabab in Somalia and also one of the leading lights of the modern American jihadist movement. Hammami came out this week vowing to avenge the death of Osama bin Laden during a conference of the Somali group's top leadership. killing at an event in Somalia this week. Audio of the event was posted on the jihadist Web forums and can be heard at Jihadology.net. Hammami's speech was fairly typical of his previous attempts at jihadist discourse -- awkward. "We are gathered here today to rejoice in the fact that our beloved sheikh has achieved a fate he sought for two decades," Hammami said, the opening phrase a relatively rare nod to his Alabama roots. Like his previous work, Hammami's speech consisted mainly of a series of jihadist potboiler cliches to the effect that the jihad continues on despite the deaths of its leaders. Then he turned to the red meat, which sounded an awful lot like someone else wrote it for him. 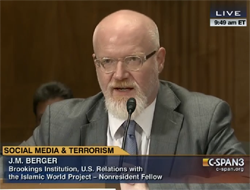 Essentially, he argues, everything America does only further inflames its enemies against it. "We announced today to America and to the world that Sheikh Osama bin Laden kindled the fire of jihad decades ago," he said. "No matter how much anyone seeks to snuff out its flame, the embers will only serve to spread and further ignite the kindred. This indeed is America's dilemma, America's conundrum." Much of the speech seemed to be aimed at the American public, criticizing Obama's handling of the revolution in Egypt and his failure to close Guantanamo Bay in a rambling and sometimes confusing manner. He also promised the return of the Islamic caliphate and staked out a fairly strong position in favor of global jihad (as opposed to the primarily local jihad currently being waged by Al Shabab). The selection of Hammami as the American face of Al Shabab specifically and global jihad more generally is an interesting gamble. He's not a dynamic or compelling speaker, and the sentiments he has expressed on camera rarely sound like his own. He tends to parrot well-established jihadist themes, only occasionally adding oddly dissonant snatches of language that sound like his own thoughts. On the other hand, Hammami has a lot going for him in the credibility department. For one thing, he's established a reputation as a real live battlefield commander (whatever the reality might be). And his frequent appearances with Al Shabab's leadership, combined with snippets of reported U.S. intelligence, strongly suggest that he's an important figure within Al Shabab's organization. He also cuts a good looking jihadist figure. In his early videos, Hammami was rail thin and ratty-looking, which made him look authentic. Now that his authenticity is no longer an issue, he's filled out a bit and these days looks more like he strolled out of a Breck commercial than a Somali foxhole. He does inspire people to emulate him, but he's not a big mainstream draw. His appeal seems to resonate most with people who are already close to action. In some ways, Hammami is the yang to Anwar Awlaki's yin. The Yemeni-American cleric is far better spoken and has a stronger appeal to people who are earlier in the process of radicalization, but his battlefield credentials are negligible. And while Awlaki's status as a member of Al Qaeda in the Arabian Peninsula is well-established, his operational importance to the core organization is not nearly so clearly delineated (although we do know he's sending a parade of losers to attack America). Every time a news story about Awlaki appears, it sets off a round of arguments among terrorism experts about just exactly how important he is to AQAP as an organization, with speculation ranging from seeing him as a leader, a senior leader, a top leader, the ultimate leader, or a sycophantic hanger-on who is tolerated but not especially respected or influential within the organization. 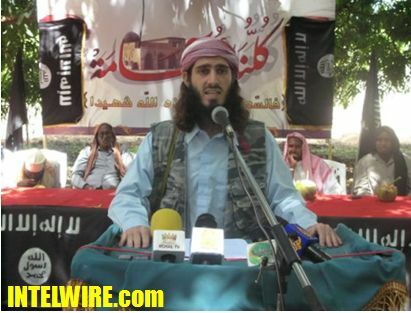 And unlike Hammami, we've never seen Awlaki appear side by side with AQAP's real Yemeni leadership. If you could fuse Hammami's military cred with Awlaki's oratorical gifts, you would create a force to be reckoned with. And that's probably what Al Shabab is trying to do by pushing Hammami to the forefront. Unfortunately, Hammami has proven to be a slow learner. He's improved over the last few years but not enough to make me think he will ever have the chops to be more than a mouthpiece for other people's opinions. As such, he's still an asset to Al Shabab. But he'll never be a game-changer. For much more about Hammami and Awlaki, check out my new book, Jihad Joe: Americans Who Go to War in the Name of Islam, headed for bookshelves this weekend. Some pre-orders are already shipping, so order today!